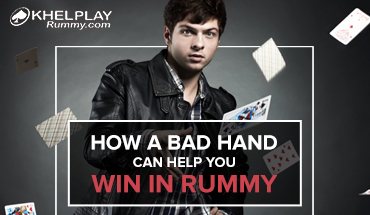 Want to win online Rummy? Check out these tips and tricks to win the game. I have been playing casual rummy for a long time, but have never thought of tricks to excel at it. This post has been a great food for thought for me. It was interesting to read these unusual tricks for rummy. I am considering playing rummy online games, and this post has been timely for me. I shall try some of these tricks. Thanks, Khelplayrummy for such an interesting post! I think the first trick is really useful. I have always tried to save my face cards as they are of high value. But having read through this post, I think I need to bring about an overhaul in the way I play rummy. The discard section, as suggested in the post, acts like a cue card. I have always kept my eye on this section when playing games online. 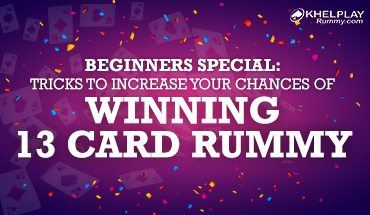 Focus on the game and your opponents’ games can take you quite ahead in rummy. It’s fun to play rummy online, but now, with this simple tricks post, I think I can reinvent the way I approach a game of rummy. I need to try trick numbers 1 and 2. They are quite contradictory, but both make sense. I am just hoping no other severe contender is reading this post. LOL. Great blog, Khelplayrummy. Please keep updating us with more such stuff. I, for one, am a passionate player, but quite new to Indian rummy. I am working on my skills at the game and blogs like these do aid my self-learning.